Microsoft Officially Unveils Windows 10 S - Days of Glory for Windows Store? Microsoft has officially announced Windows 10 S, previously rumored as Windows 10 Cloud. Windows 10 S is a new and lightweight version of Windows 10, which will be powering Microsoft’s education-focused devices. Windows 10 S brings one major change that sets it apart from all the other editions of Windows 10 – its ability to lock users to only Windows Store for all apps and games. “Everything that runs on Windows 10 S is downloaded from the Windows Store,” Microsoft’s Windows chief Terry Myerson said at the company’s event today. Windows 10 S is the key that Microsoft will be using to take on Google’s Chromebook. The operating system version is a lightweight edition of Windows 10 that will be limited to Windows Store. Users can still download Win32 and Windows 10 apps from the Windows Store on Windows 10 S. However, whatever is available out of the Store won’t be accessible to Windows 10 S users. This, however, doesn’t mean that users will be stuck with what is currently available on the Windows Store. Windows 10 S users will still be able to run desktop apps on Windows 10 S, but they will need to be specially packaged and listed in the Windows Store. “Windows 10 S will run any browser in the Windows Store,” Myerson said probably giving Google a hint to bring Google Chrome to the Windows Store. Since the point is to get a share of the education market, Microsoft is bringing a number of features tailored for schools. Windows 10 S will bring a Set-Up PCs feature for schools, which will let institutions easily configure a PC that will get stored into one USB stick that can then be used to start configuring other devices based on the same config. Windows 10 S will simply detect the key and customize all settings, making the process super fast and convenient. 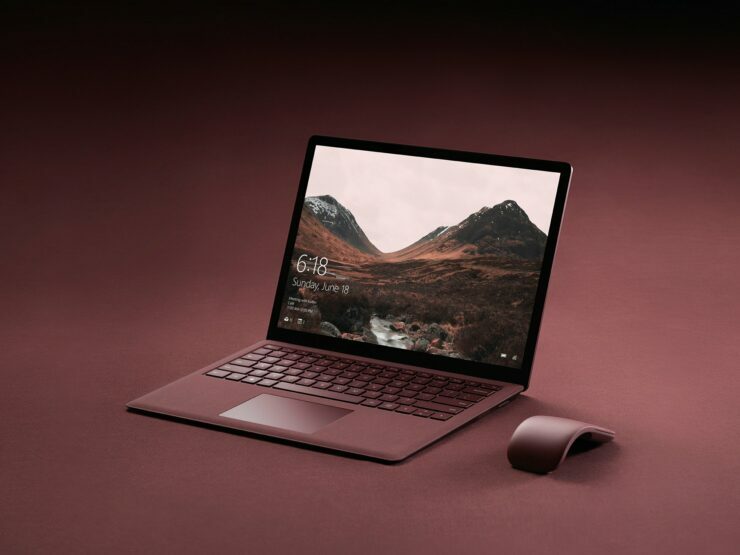 Since the start of this year when Windows 10 S (then known as Windows 10 Cloud) first made through rumors and leaks, it was said that the OS will have to feature an easier setup process to get into the education market. Microsoft has certainly heard all of those comments and introduced a different login process for Windows 10 S that hardly takes 15 seconds for a student to log in and use a Windows 10 S powered machine for the first time. Microsoft is introducing a wide range of products along with its PC partners, with Windows 10 S devices starting from just $189. All products will ship with a free subscription to Minecraft: Education Edition and free Office 365 education with Microsoft Teams. 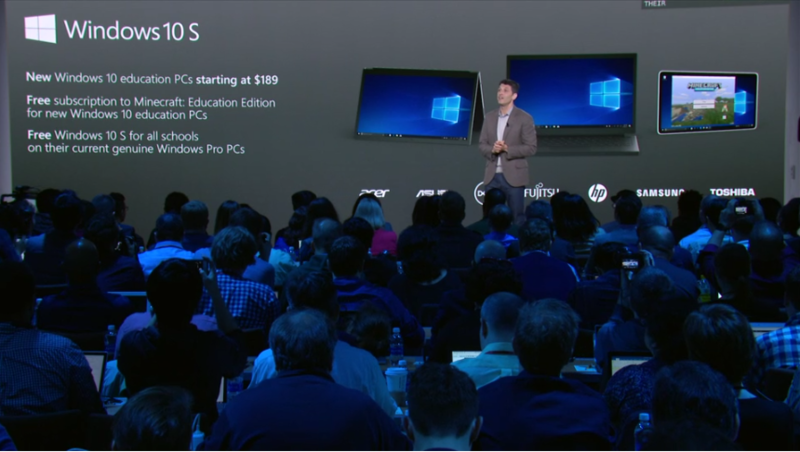 Schools that are currently running Windows 10 Pro systems will get Windows 10 S for free. As was shared with our readers earlier today, the Redmond software giant is also bringing the full version of Office to the Windows Store. But, would this be enough to finally boost Microsoft’s app ecosystem? Will it be enough to compete against Chrome OS? The new edition of Windows 10 will obviously be taken under the shadows of Windows RT. However, Microsoft is advertising better battery life through Windows Store apps, better security, and has made logins on the first or the last days of school a painless process. Unlike Windows RT, Windows 10 S can still run the traditional x86-based desktop software too, just that the software will need to be packaged up as a Windows Store app. Google’s Chromebooks have successfully taken over the education sector. Whether Windows 10 S gets any share of this market or not is yet to be seen.